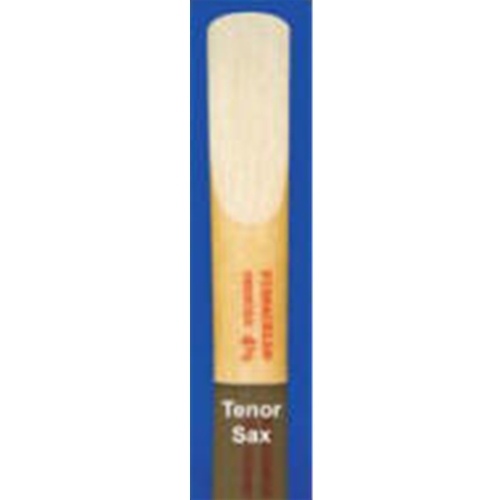 Fibracell Reeds Tenor Sax Reed #2 Fibracell material is a sophisticated composite of aerospace materials designed to precisely duplicate the way Nature constructs reed cane. Very stiff but sound absorbing Aramid fibers are suspended in a light weight resin formulation. Fibracell reeds feature... Fibracell reeds are sold individually and last up to 6 times longer than cane, making them less expensive to use than cane! Brilliant overtones for a full, vibrant, resonant tone. Quick response for better articulation. Excellent pitch stability and intonation in all ranges, even for clarinet. The same "woody" tone as cane but with better sound projection.